Get trippy!..Or not. 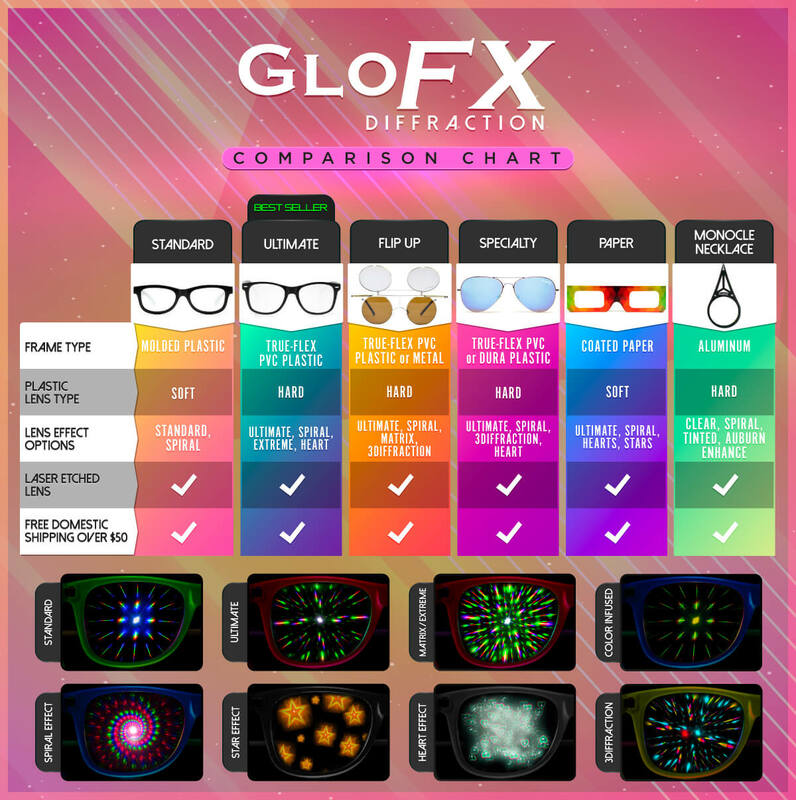 At GloFX we know how important it is to look stylish, while maintaining the ability to achieve a sick visual effect! These rave glasses offer you the choice of diffraction when flipped down, or regular sunglass lenses when flipped up. The base lenses are auburn enhanced and fitted in a cross bar style vintage circular frame. This classic design is in a true metal frame, just like they made in the 70’s! The flip-down round lenses feature a reflective silver mirror finish and epic rainbow prism effect. These glasses are perfect for the raver who wants to be able to be able to create an outstanding visual effect with the flick of their wrist! We really went all out with this design by adding soft rubber ear guards, an adjustable plastic nose bridge, and fresh GloFX logo printed on the flip lens. These retro circular frames will bring out your inner hippy, while you get trippy at your next EDM festival! These lenses are the perfect combination of the practicality of sunglasses, with the stunning visuals of rave shades! These rave glasses all feature a Lifetime Warranty.